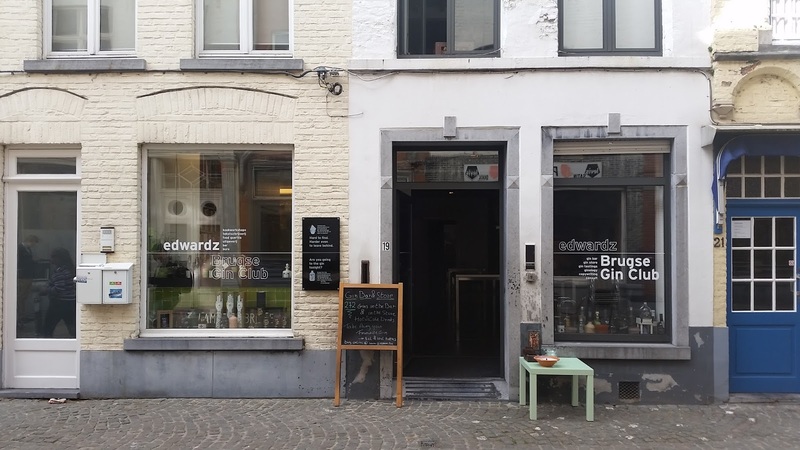 I probably should't have put this first, as I will have most of you thinking that I only go on holiday for alcohol (which is only partly true), but I am a huge gin fan and my boyfriend had already found Bruges Gin Bar to take me too and I was insanely excited. It would go down as one of the best gin selections, and one of the best bars, I have ever been to. 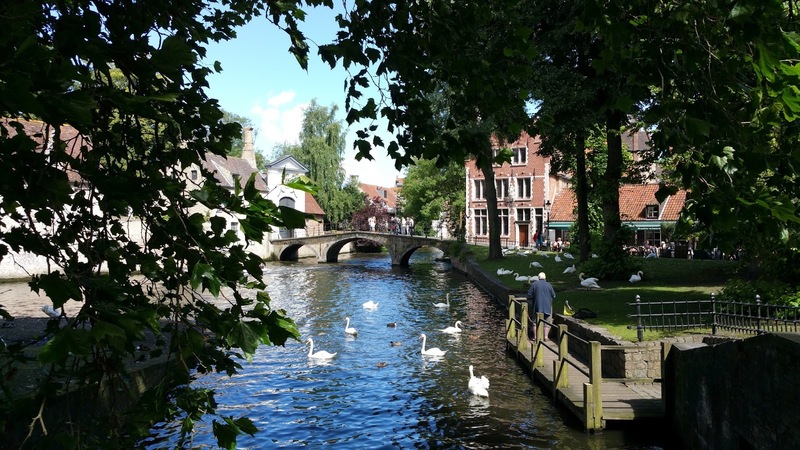 We had planned a couple of things to do over our stay, but the way Bruges is laid out, it feels like every time you turn you have found a new street to discover. It is not the largest of cities, but it really is packed in with wonderful things. 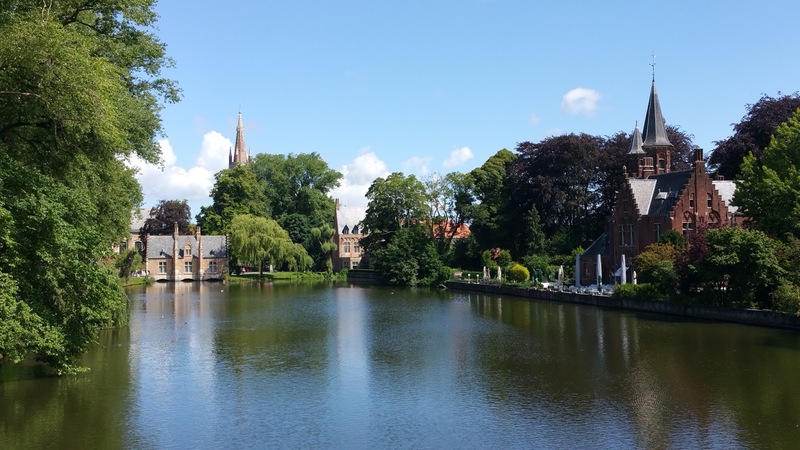 Perhaps one of Bruges most well-known tourist attractions, this picturesque spot (pictured at the beginning of the post as well) is just stunning, I could have spent all day wandering round, getting lost and enjoying the scenery. My goodness. 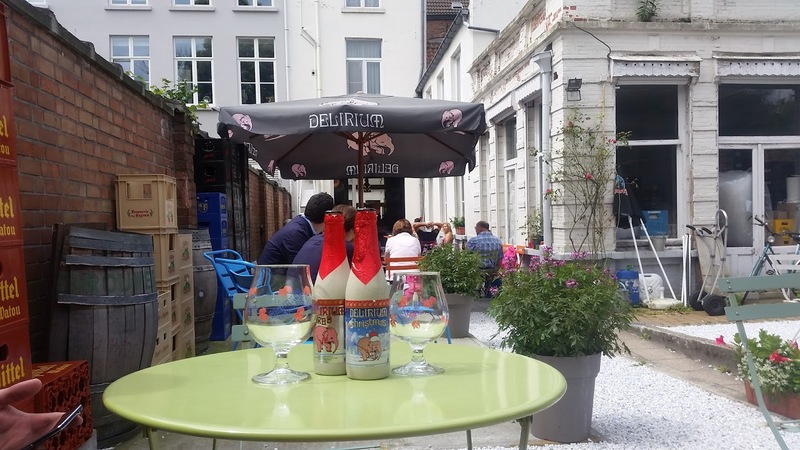 Belgian chocolate everywhere. 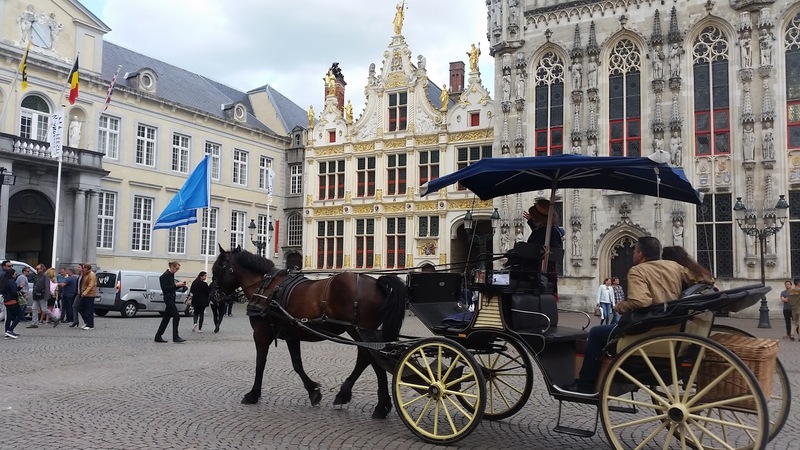 Horse drawn carriages over cobbled streets? Yes please. 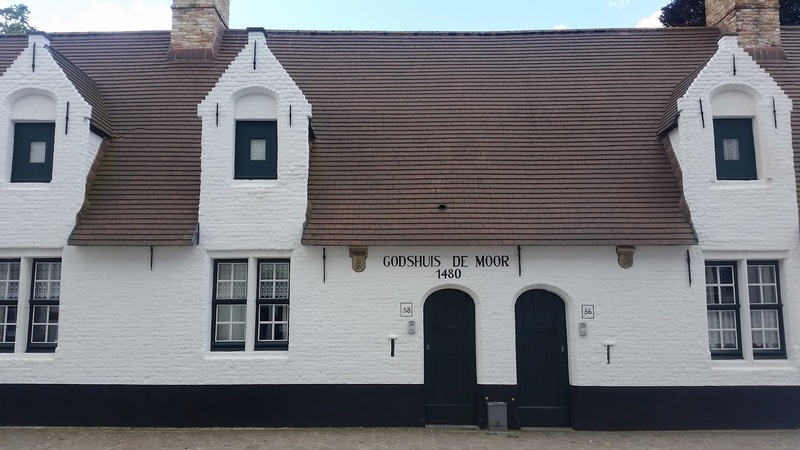 Very Dutch in it's influence, or so a tour guide told me, the buildings are a thing of beauty everywhere you look, it was beautiful in the spring time but the aesthetic means I am absolutely dying to go there at Christmas. There is a Christmas shop open all year round. I was singing Christmas Carols and trying to keep in my excitement for Chrismtas... in June. 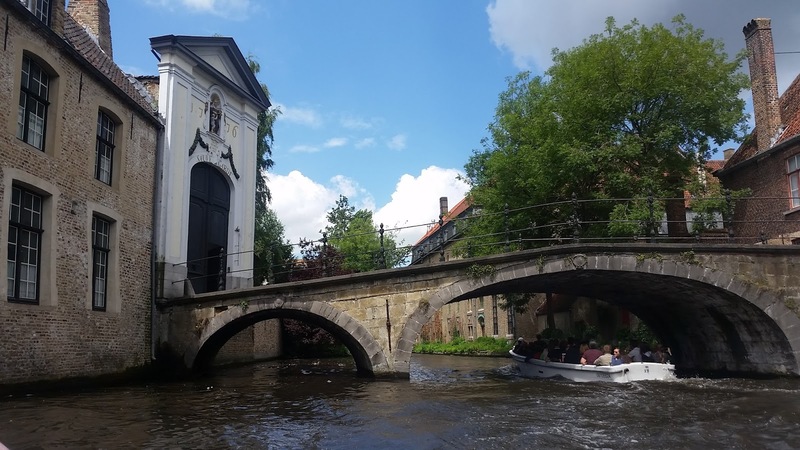 We chose to do a boat tour (which I would strongly recommend) and normally when you go on a guided tour and get taught history, not a lot of it sticks with you, but the history of Bruges and how it came to be preserved rather than developed really stuck with me. One of the moments in my life that I will never forget is walking into the Monastery and hearing the Nuns sing. It was completely unexpected and utterly beautiful. Sorry to use alcohol again, but the craft beer was something even I could get involved, having previously never liked beer. The people absolutely make it special, they are all so friendly and warm and willing to have a conversation with you. One thing I will say against it; I was disappointed by the waffles.